Good morning darlings! I apologize for kind of dropping off the face of the earth last week, my life has been extremely hectic and I'm hoping it will level off to something more normal this week. Fingers crossed but no promises. I still can't believe it's already November.. I swear it was just summer! Now that Halloween has passed its gone straight in to the Christmas season.. Not that thats terrible but I feel like Thanksgiving always gets stomped on by Christmas so I try hold off any Christmas related things till after Thanksgiving. However, after watching MacBarbie07's newest video I am tempted to start decorating the house but am holding off! 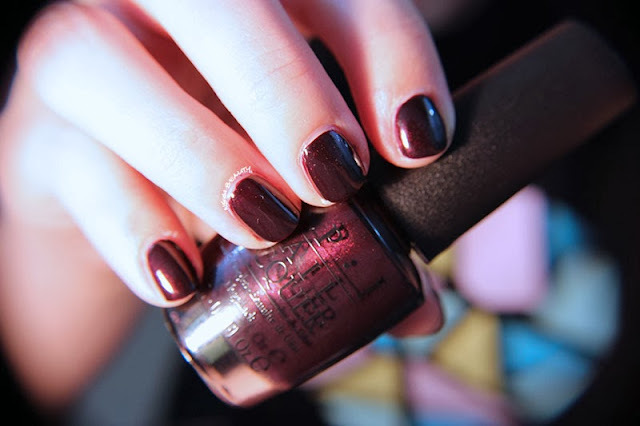 Any who for this week's mani its a polish we've seen on the blog before but it is perfect for the fall season and one of my favorites! I love the formula, the color and I just love the color! 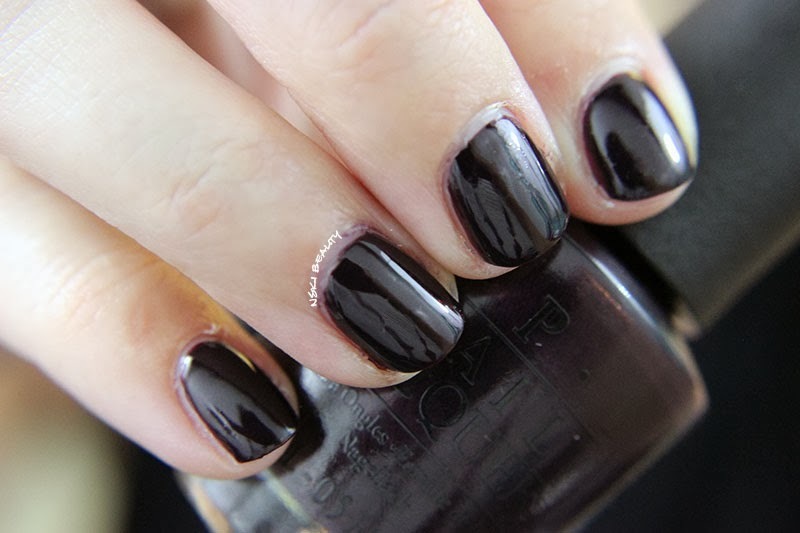 It's a deep plum with an subtle under tone of red shimmer to it. It really is a fantastic color!